From father and son producers Albert and Charles Band comes this completely crazy and totally twisted Moonbeam Entertainment family film classic, available now for the first time on any format since its VHS debut in 1994! 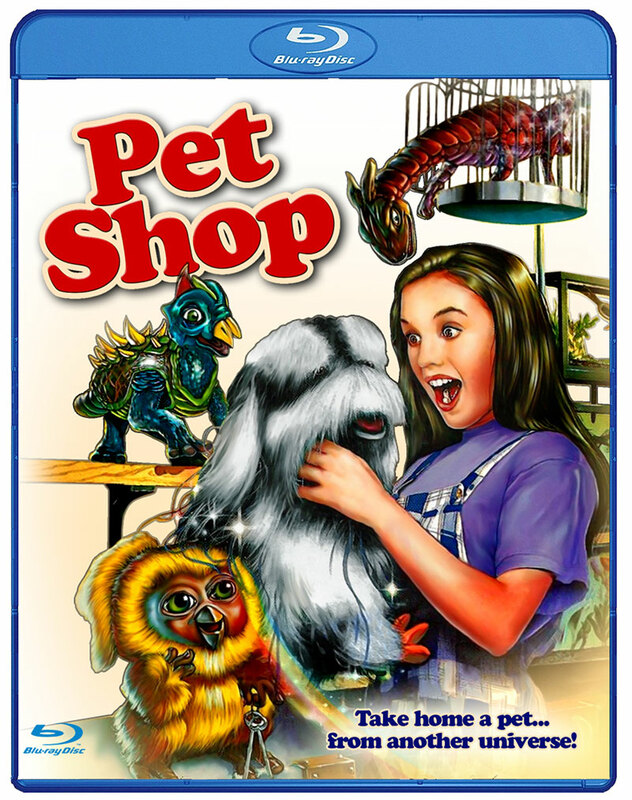 Pet Shop tells the wacky, way-out tale of a pair of alien fiends disguised as over-the-top cowboys who touch down in the Arizona desert town of Cactus Flats and immediately buy a run down pet store. Their mission? To lure local children with promises of cuddly companions...and then eat them for dinner! 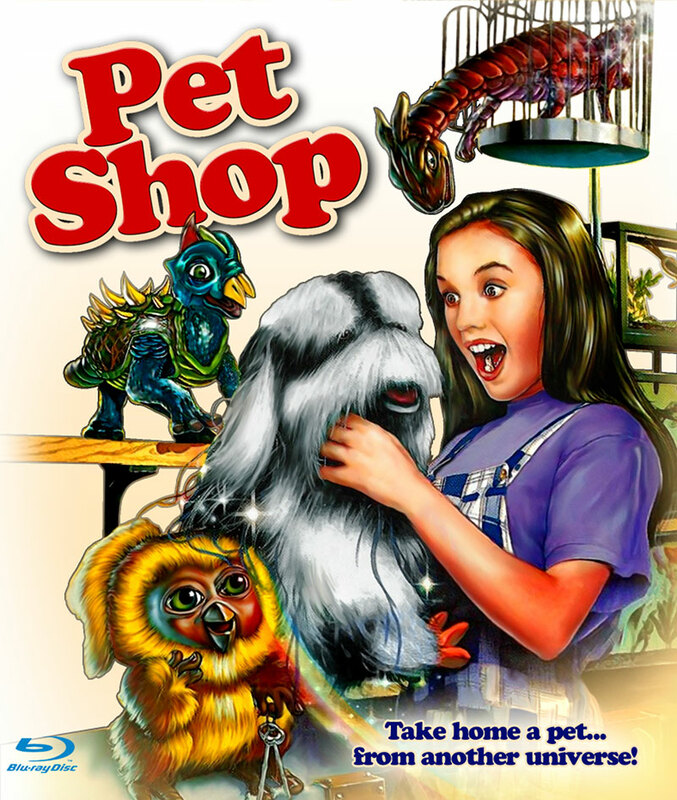 14 year-old Dena (Leigh Ann Orsi) - whose family has also recently hit town as part of a witness protection program initiative - gets wise to the otherworldly weirdos schemes and with the help of some adorable alien critters and three local kids, sets out to stop the spaced out, tyke-munching retailers for good. 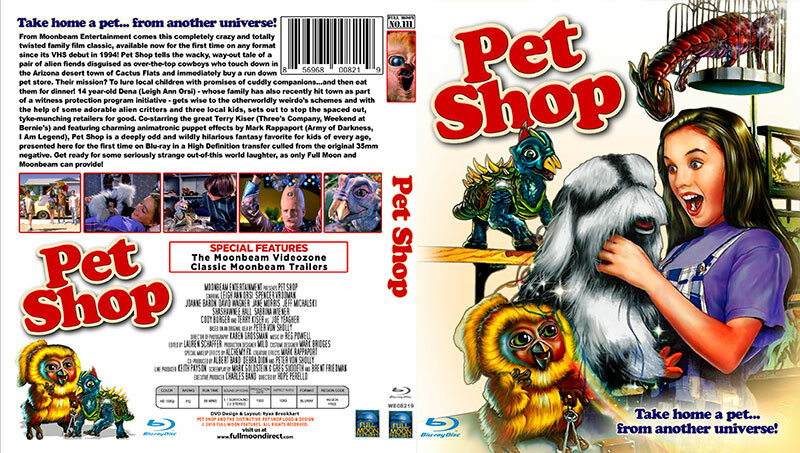 Co-starring the great Terry Kiser (Three's Company, Weekend at Bernie's) and featuring charming animatronic puppet effects by Mark Rappaport (Army of Darkness, I Am Legend), Pet Shop is a deeply odd and wildly hilarious fantasy favorite for kids of every age, presented here for the first time on Blu-ray in a High Definition transfer culled from the original 35mm negative. Get ready for some seriously strange out-of-this world laughter, as only Full Moon and Moonbeam can provide!